Marijuana job training at CTU. The marijuana job training program at CTU has grown leaps and bounds in the past year. Students at the leading marijuana school learn all areas of the cannabis industry and are prepared for a marijuana job. Students learn all aspects of the booming cannabis industry, including; how to grow marijuana indoors, how to grow marijuana outdoors, how to cook with marijuana, marijuana as medicine, how to do marijuana extractions, marijuana laws and regulations, marijuana career training, marijuana jobs, where to invest in the marijuana industry, how to be a budtender, how to operate a dispensary, salaries of marijuana jobs, how to write a resume for the marijuana industry, and how to write a business plan for the marijuana business. The marijuana job training program at Cannabis Training University has been developed and grown since it first began in 2009. CTU has been the leading marijuana school since 2009 and has more graduates than all other online cannabis programs. 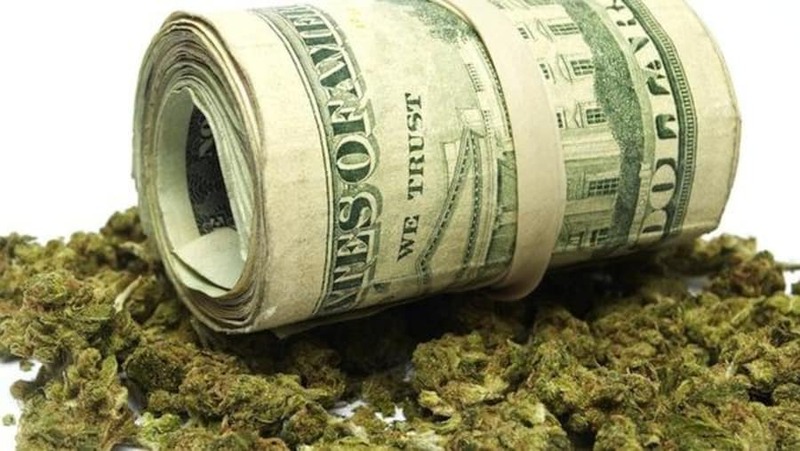 The most popular marijuana jobs at this time are those of a Budtender ($11 to $20 per hour), Cannabis Trimmer $200 per pound trimmed), Dispensary Manager ($50,000 to $150,000 per year), Assistant Marijuana Grower ($50,000 to $80,000 per year), Dispensary Owner ($100,000 to $5 million per year) and Head Marijuana Grower ($75,000 to $1 million per yer). The marijuana job training program at CTU is the most extensive job training program available online, with over 200 cannabis videos, and more than 5000 pages of cannabis ebooks, accompanied with online quizzes for learning reinforcement, and a 250 questions online master exam. Students from all over the world have enrolled at CTU for the cannabis training and to prepare for a marijuana job or to begin their own cannabis business. At this time, marijuana jobs are found throughout the USA and Canada. Puerto Rico is an up and coming area with more and more residents jumping in on the green rush and looking for Marijuana job training. In the United States, most of the cannabis jobs at this time are in areas such as; California, Colorado, Oregon, Washington, Maine, Massachusetts, Arizona, Michigan, Rhode Island, Nevada, and Alaska. More and more states are poised to have more marijuana jobs in the next few years, such as Florida, Illinois, possibly Ohio, Minnesota, and many predict even Texas may be a good state down the road for cannabis careers. Students interested in a cannabis career can sign up for CTU at anytime, enrollment is always open, and can login and learn on their own schedule, any time, day or night, 365 days a year. There are no schedules at Cannabis Training University, students learn on their own pace. The Master Certificate Program can be completed in as quick as two weeks if students are on a fast track to get their cannabis certifications from CTU. The CTU Master Certificate Program leads to seven areas of cannabis certifications and is only a fraction of the price of other marijuana schools. Marijuana career. Cannabis career. 420 careers. Marijuana colleges. Compare marijuana schools. Marijuana job training. Marijuana schools. Top 5 marijuana schools. Compare marijuana schools online.